Select a state for ordering information and options. Most states' and many regions' toll agencies have their version of an electronic toll sticker or transponder that may be used to pay your tolls without having to use cash. 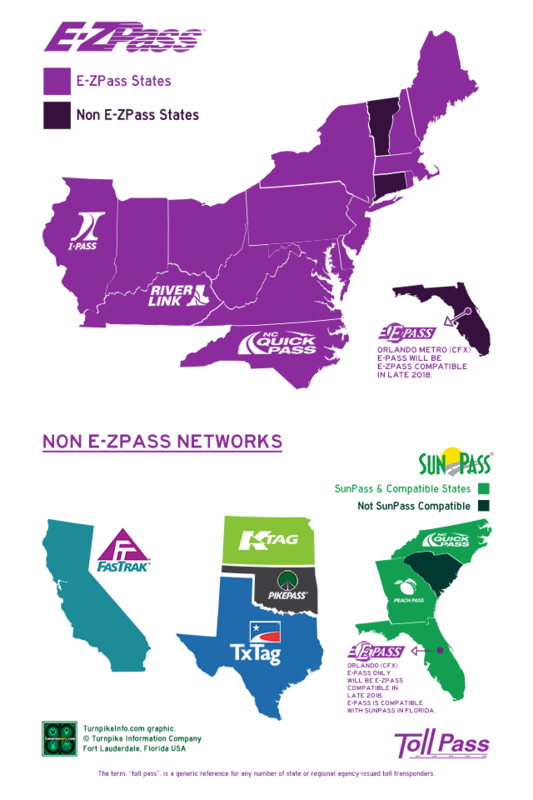 In most jurisdictions, the use of an electronic transponder will result in lower toll costs, as many agencies discount the toll rates for toll pass users. The discounts can be substantial for regular haulers and commuters, who may need to use a specific road or group of roads on a consistent basis. 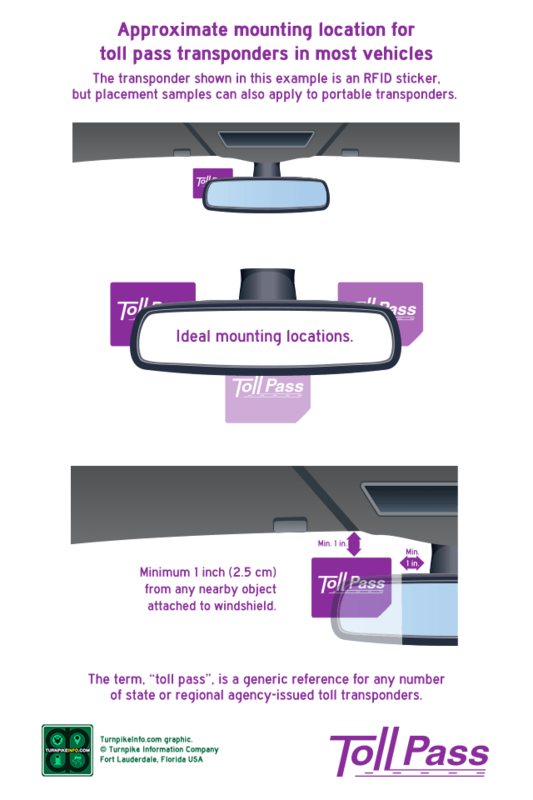 An agency-issued sticker or transponder is affixed to the windshield of the vehicle, typically adjacent to the rear-view mirror, so that transponder equipment, located both in the asphalt and in overhead gantries, can read the unit's ID number and vehicle type as the driver passes beneath the tolling gantry. 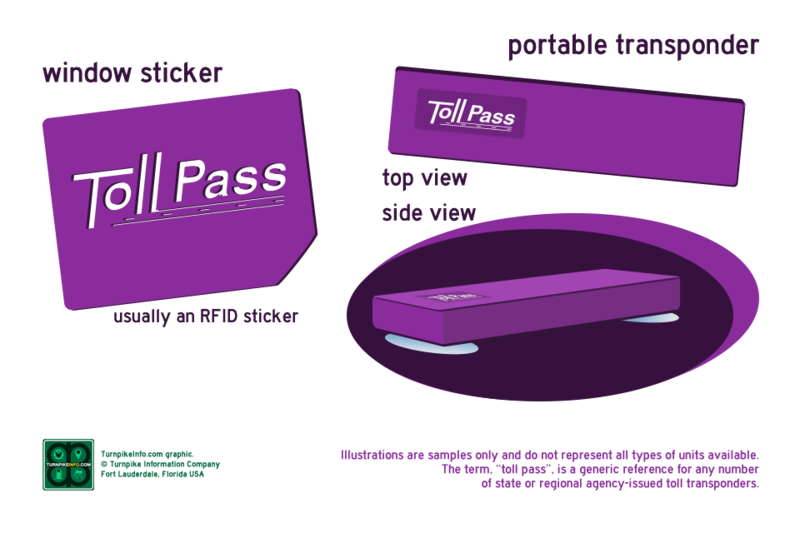 When you order a transponder and prepare to use it in your vehicle, you will be required to set up a toll pass account with the state or regional agency that issues the transponder. This involves providing your information, your vehicle information, the transponder number to be used in the vehicle, as well as any payment information that may be required by the agency, often a credit or debit card. Often, families will have more than one vehicle and, consequently, more than one pass on their account. Most agencies permit more than one transponder to be assigned to an account, but only one vehicle may be assigned to a transponder ID at any given time. To get specific information about your state or regional toll pass agency, as well as account information, simply select your state in the menu or the drop-down form.